How do you know when your family is complete? A couple of months ago I was sat in my local Costa on my own drinking a hot chocolate as I was slightly early for an appointment. There was a lady in there with a baby, she must have been about six months old. She was completely and utterly engrossed in her little girl, it was like there was no one else in the room, and she sat there holding her high in the air and blowing raspberries on her tummy. A normal occurrence really, nothing out of the ordinary. Except if anyone had been watching me I probably looked slightly odd as I couldn’t take my eyes off the two of them. I see babies and mums all the time, every single day, and most of the time I don’t even give them a passing thought. But for some reason I sat there drinking my hot chocolate and my only consuming thought was ‘I won’t ever get to do that again’. For a brief second it made my heart feel so heavy and I felt like I could burst into tears. Then a week or so ago I was at a dentist appointment, just a routine check up as I am currently going through Invisalign brace treatment. They had to do some filing to my teeth so they slowly lowered the chair until I was practically lying down in it. They went about their business and I couldn’t talk as they were busy tending to my teeth. Again the strangest feeling came over me. For some unknown reason I found my mind flashing back to my c-sections, presumably because it was a similar thing of lying flat looking up at the clinical lights. I had the same though yet again ‘I won’t ever get to do that again’. When I was younger and I imagined my perfect family set up, I always imagined two children.I think partly because I have a younger sister and also because both my mum and dad have one brother each. Two children was always mine and Jon’s plan. Lottie was born in February 2013 and for a while I felt like our family was complete. I didn’t have a particularly strong yearning for another baby, I wasn’t broody at all, and we just assumed we were done and perfectly happy with two- we even got rid of pretty much all our baby things. When she turned two however things began to change and we started talking about the possibility of having another baby. It wasn’t something that came naturally to us, none of my friends had three children, and we spent a long time talking about the practicalities of having three- having to eventually get a bigger house, a bigger car, and the thought of having to buy three pairs of school shoes at the start of a new term. We thought it over constantly for a long time until our minds were made up, and the rest is history. Our darling Wren arrived in April 2016 and I treasured every single minute of his pregnancy and early days. This time around though, rather than feeling like instantly we were ‘done’ and that was it, even in the hospital after my c-section I had this such strange emotion. I felt sad that this was the last time I would be doing this, that the newborn days would be the last ones I would experience. I found myself clinging on to time in his early days, not wanting to miss a second. He was technically our ‘hardest’ baby- he wouldn’t sleep unless it was in my arms, he rarely slept longer than an hour until he was ten months, and I was permanently exhausted. I also found my c-section recovery a lot harder the third time, with it taking me a long time to get back to feeling myself. 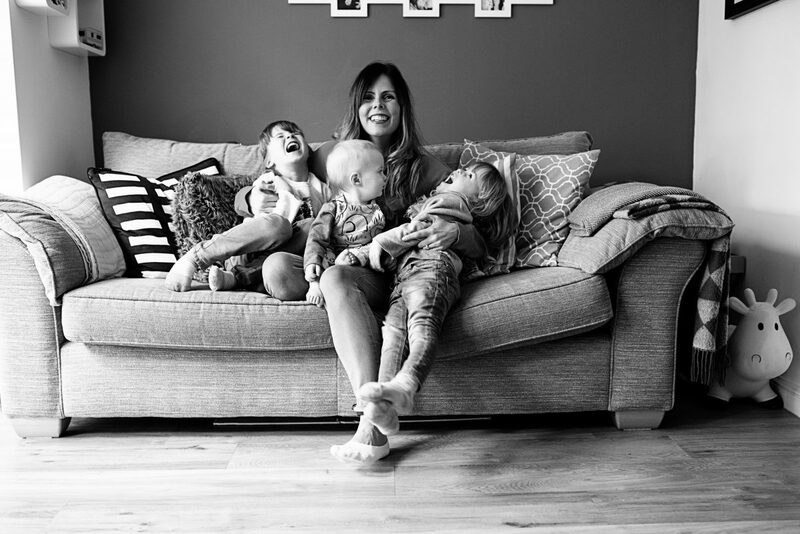 Yet at the same time I felt like such a more confident parent, I felt happy and content, and I felt an ease that came with having done it twice before. It seemed like the more I did this parenting malarkey, the more I enjoyed it. Don’t get me wrong there were of course hard parts, there always is, but I really enjoyed the third time around most of all. For a good year now I have joked to Jon that we should have a fourth. He goes through varying degrees of emotions- most of the time he will say categorically no way, then the next when we have had a good few weeks of parenting he will say maybe. But deep down he is done, he is happy with our three healthy children and he feels our family is complete. The question is what do I feel? For the most part I go through day to day thinking that three children is perfect and we more than have our hands full. None of my local friends have three children, let alone four, and if I ever say ‘I would have another’ they look at me like I have grown an extra head. I know friends online who have four but on social media you only see a small proportion of someone’s life. None of my family have more than two and I do think my family would think we were crazy if we decided to have another. I think three children is becoming more ‘normal’ these days, but I think four is definitely a whole different situation. I know that people will always say that you will never regret having another baby, and I know that much is definitely true, of course you wouldn’t. But at the same time I want to be the best parent I can be to my children and I worry that if we had another one my time would be spread too thinly. We have a big enough car and we have a big enough house, but that nice new forever home we moved to will definitely become smaller again if we had another baby sharing Wren’s room. Even now I wonder what it will be like with three teenagers lounging about. Also for the moment we are comfortable financially but we have been through periods of difficulty in the past, and I would be so worried that we might not be able to afford four children in years to come. Yes you can cut back of course you can, but at the same time you want to give your children the world, and neither Jon or I have stable jobs. I do this and work freelance and Jon is on a rolling contract. One of our big passions is travelling and we worry how we are going to do that with three children once Wren turns two, let alone adding a fourth. Although a little voice inside of me says that I didn’t go abroad when I was young as we couldn’t afford it, and I don’t feel like I missed out on anything. Yet at the same time for all those practical reasons why staying with three seems the best option, there is always this tiny voice in my head saying that we could just have one more. I can’t imagine not going through the baby days again, I can’t imagine not growing a baby or breastfeeding a newborn, and I would love to see my children with another sibling to love and cherish. The greatest thing to me in the entire world is watching my babies together and I would love to see them with another. When we had Maddie I would never have dreamed of having more than two children, but now there is a small part of me that would love a huge big, chaotic family. The more babies I have the more I seem to want. The thing is at some point you have to stop, you can’t just keep on having children. I think Wren is just suddenly growing up quickly, he is rapidly approaching two and the baby days are well and truly behind us. It’s just starting to make me think about our family and our lives together. 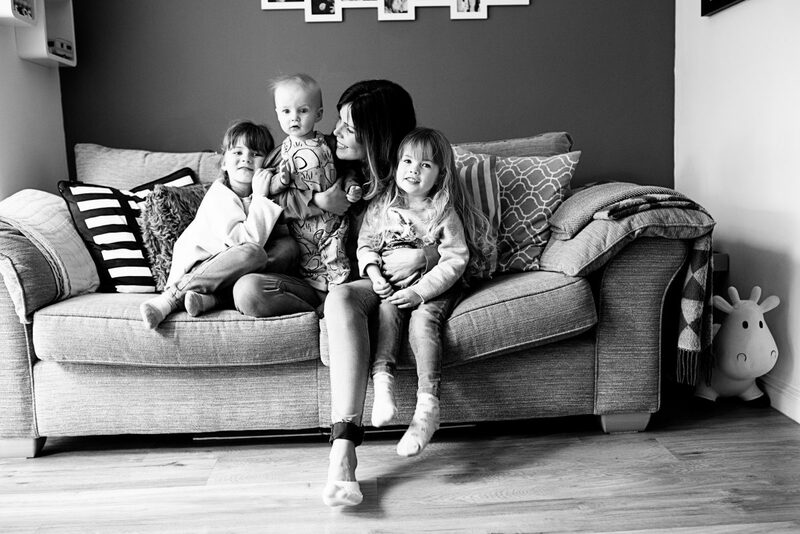 I never knew what kind of mother I would be and while I am certainly not the perfect one, my children are my world and being a Mum is by far the greatest thing that has ever happened to me. I can’t imagine drawing a line under the baby days. But at the same time I truly know how lucky I am to have one healthy child, let alone three, so I wonder whether I need to just accept that our family is complete. I think for me, categorically saying ‘No we aren’t having any more’ feels very final and that’s what makes me emotional. Whereas if we just sort of adopt the ‘never say never’ approach then as time goes by and our children get older and more independent, the yearning might just go away and we will grow together as a family, and perhaps my feelings will just diminish? A complete rambling post, but does anyone else feel like this? Do you feel ‘done’ or do you yearn for another baby? If you do, then what is stopping you? Finances or something else? Or do you 100% know that your family is complete? I would love to know. Some old photos of me and my babies because they are either at school or down for a nap and so I have no recent ones! I found coping with 1,2 and then 3 ok. Busy but manageable, but 4 has been a completely different ballgame. It’s not that he has been harder, he’s just adapted to life with us, sleeps ok, breastfeed just as easily as the rest but my life is so much busier. All the kids have so many after school activities, homework is so much more, my work (I work pretty much like you) has to be fitted in during the evening usually. My hub works long hours so it is 90% me who is in charge of all those things and that has been hard. I wouldn’t change it and already I can see things are letting up but as you said you’ll never regret it but your life will change. In terms of financially etc we have never been sensible with anything like that, our car was too small, we’re now a bedroom short etc but we’ve worked around those things and instead of paying a huge airfare for holidays this year we are driving. All the way to Monaco via Paris from Belfast, super exciting but I’m shitting it slightly! I only imagine the kids though will remember those days as some of the best of their lives once they are older, not that they had to share a room with their tiny brother! My husband is ‘categorically no’ to more children. I am 7 years younger and so he doesn’t want to be an ‘old’ Dad. I was never particularly maternal growing up and didnt have a number of children in mind. I even said I didnt want children but now I have 2 beautiful girls I feel like the luckiest mum in the world. I feel like I have so much love to give and sad that I won’t have another to give that love and life to. I was very fortunate to have great pregnancies and births so the thought of having another doesn’t worry me. I recently gave the baby 0-3 month baby clothes to a baby charity to help me feel like 2 was the final number. It helped me know that someone else could use our clothes for their precious arrivals. I feel this! We had twins through IVF after year s of trying, failed attempts and lots of heartbreak. A boy and girl so a ready made family most would say and we feel so unbeliably lucky. I just always feel sad, more so now they are 2 and a bit, that I won’t ever get to experience a pregnancy, newborn, breastfeeding etc again. What mainly prevents me from trying ( although chances of falling pregnant naturally would probably be very very slim anyway) is not even financial, although that plays a part and I am looking forward to getting back to work etc. . It is mainly a feeling like we would be pushing our luck and something would go wrong with me or baby. I feel a guilt because wanting another feels greedy when we already have more than we could have imagined 3 years ago. Plus I am 35 this year and personally for me after that age would just feel too old, although I know it really isn’t these days. 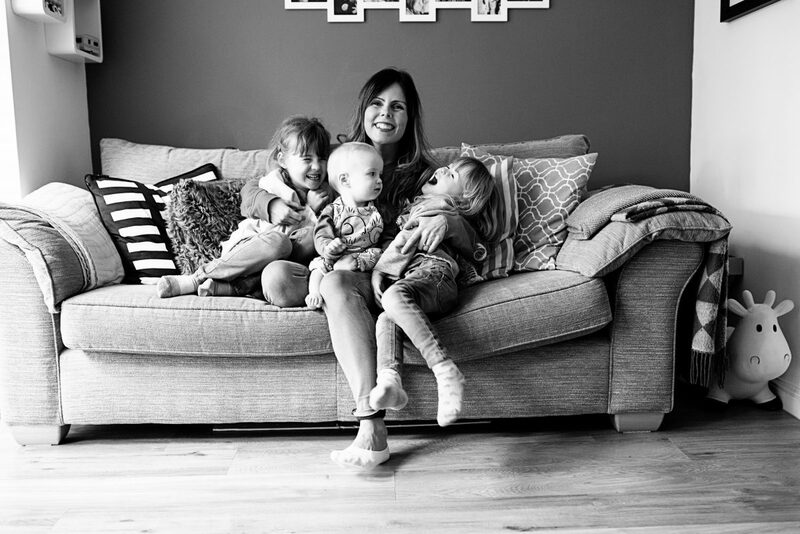 We don’t seem to be able to have anymore children which is something I’ve made peace with and I now really feel ‘done’ – once I had Frankie I kind of imagined myself with lots of children 4 or 5 probably but I think that’s because I come from a family where our foursome is considered very small. Even growing up in a family of 5 we were one of the smallest families within our extended family on both sides so I’ve never seen 3 or 4 children as lots. I know that’s not the case for everyone though. I expect I only really feel done because the decision seems to of been taken out of my hands so there’s no point dwelling on it, but I honestly don’t think anyone really feels done. My mum and dad still talk about ‘Pretend baby 4’ and a friend of mine whose children are now in their late teens are now adopting because they admit they never really stopped wanting more children to love. It’s such a personal and emotive subject but I can’t imagine it’s ever something anyone can just close the book on. I don’t think you ever get that feeling if that’s it! After being a mum there will always be that maternal way about us and I think the thought of babies just makes those feelings stronger if that makes sense? I’m pregnant with my second and already feel sad that this is probably it, even though I don’t actually really like being pregnant and whilst we still have time to maybe potentially have a third, Im just not sure financially if we would manage with our family lifestyle. I know you always find a way, but I want to be able to send my children on the school trips and go on holiday and three would be very difficult. So for now I’m going with the never say never approach! I feel like this a lot. I have 2 (6 and 3) and my partner is done but if he said let’s gave a 3rd I definitely would. Oh my gosh I totally get how you are feeling! I have 2 boys soon to be 7 and 5. We always said we’d have 3 possibly 4 children but when our oldest was born with a CHD we were so Undecided in whether to have more as we’ve been through so much with him but fate intervened and we were blessed with a healthy Freddie, im so not ready for him to be my last now I think it’s because I never felt like it wasn’t my last pregnancy! and I’m currently trying to pursade the hubby to have another! Ha ha! Oh Katie, I too know this feeling well. I have an almost 18yr old and an almost 14yr old. Between you, me and anyone else who reads my comment I, actually we, would love another baby and have been trying with no success. For almost two years, there’s been lots of “trying” 😉 Something just seemed to hit me suddenly that I wasn’t “done”, when we went out as a family, I could see myself putting a baby in the car. When I was sat watching tv, I could imagine a baby snoozing on my chest, with that gorgeous baby smell wafting up my nose. My daughter and I love to look at baby clothes, actually today we were admiring the new spring line in George at Asda. Oh the tiny baby-gros 😍😢 I’m not sure if age is an issue, I don’t feel old and I’m forever being told I don’t look my age. I’m 38 on Tuesday! I thought two was enough, I thought I was done. If there’s such thing as the Gods of fertility, please allow me one more. Allow me to indulge in a newborn baby bubble. I’m older and wiser now, I feel I have more patients too. I am 1 of 9 and my hubby was brought up in a 4 boy household so neither of us had a small family in mind and I think 3 was our jointly agreed number. As it is we have 2 girls (8yo and 6yo) and I’m currently in year 1 of a 4 year course in counselling and turn 34 in October. I’m starting to wonder if the 3rd is not really going to happen but I can’t bring myself to draw the line under our baby days. My youngest wasn’t my last or so I told myself and I feel like I have 1 more baby to have but I’m torn as to when this will occur. Financea have been strained alot recently and this has been a concern to add another mouth to feed. Ultimately I’d like to reach 40, family complete and have a career on the go. So possibly baby no.3 may turn into my career rather than an actual baby. Gulp, even typing that made me tear up. I know this feeling so well- accept we have 2. Since having Izzi I’ve felt like I’m not done at all. But after having our first I felt done! You’ve just written everything I feel and it’s amazing to know I’m not the only women out there who feels like it! I sent a few messages on the instastory but it cut me off so I’ll try here lol. I had 2 girls and 1 boy and we felt complete for a couple of years but then those feelings, I suppose fears of cutting it off officially crept in and I was obsessed with this decision. In the end we had decided to be done at 3 but found out I was pregnant anyway. We sadly miscarried that baby and from then on I knew I wanted that fourth. I miscarried once more and then we conceived our precious rainbow baby boy. It’s hard for sure but that all depends on each persons individual setup. We have no family around us so that’s made it a bit harder but at the same time we know these difficult years don’t last and in the end we will have all these amazing people that we’ve sent out into the world to make it a little better. I’ve been saying ‘never say never’ for nearly 7 years! I’ve got four. Now nearly 14, nearly 12, nearly 10 and nearly 7! (Can you tell they’re all about to turn another year!!) I’ve had some losses in those 7 years but right now I can’t think about anything else than adding to our brood. When o had number 4 I had so much negativity, I soon came to realise those people didn’t matter to me and we are doing what WE want, we can afford it, we’re not loaded but can manage, we dont have holidays outside of uk but we’re ok with that, it’s just as crazy with 4 than it was with 2. I think if you can do it then why not! I am also a mother to 3. My 3 are older at 11,10 &7 growing up I always wanted 6. When I had 3, 1 more was my final number. Sadly my marriage broke down and 6 years later I would class myself as desperate for that last baby. I’m not sure I will ever feel 100% content without. I’m just not finished. Don’t get me wrong I know I am so blessed to have 3 already. My partner and I haven’t been careful for a year now and each month the heart ache increases. With my first 3 I was obviously a lot younger, the longest I had to try was 6months with number 1. The other 2 I caught almost as quickly as I made the decision the time was right. Hi Katie, this really resonates with me at the moment and something that I have been thinking about a lot recently. I have two gorgeous healthy children who are 2 and 6, one of each. I always knew I definitely wanted more than one child being an only child myself so was so happy when we finally managed to have Joshua after 2 years of trying and a miscarriage. As I had him at 40 I kind of thought that was the end of my baby days as I didn’t want to chance my luck (worries over problems both for myself or the baby as I got older, both births were also very traumatic) although had I been several years younger I would most definitely have tried for another and I know hubby wanted more. I can totally relate to this. I always knew after having our first little girl in 2016 I wanted another, and her brother followed 17 months later. And I honestly thought I would feel done. My partner hoped I would feel done. Two hours after having him I was talking to a midwife about when I would want a third by if I had one. And actually really thinking about it. Partly post baby hormones. The thought of having three scares me on the tough days, but I feel so so sad to think I might have experienced being pregnant, and labour again. My little boy is 8 months, and I’m 30, so we have time (we don’t have the car, the house, the money to accommodate a third baby!) but I always think you will never regret another baby, but you may wish you had another: I’m also scared if I have a third I won’t feel done! What a dilemma! And a lovely post of all the thoughts this creates. It is tough. We’ve got nearly two now (I’m pregnant) and I think our magic number is three. Not because it wouldn’t be nice to have more but I am.getting old, my body is getting knackered and it is just so hard to afford living the life of a family in UK nowadays. It is a tough thing to decide isn’t it. I have 4 kids 15, 13, 9 and 3. I always wanted a big family and would probably had more if I hadn’t had c sections. i don’t think I will ever feel done completely and I like you hate it being final so just going along with life enjoying the 4 I have and I have to say the feeling does lessen. Awwwww I feel exactly the same – and I have 4. I would absolutely love another one but just don’t think that yearning in my heart will go away. I see babies and my ovaries physically feel like they are bursting – a feeling only people like us must feel. I have many friends that are “so so done – no way would they ever desire anymore!” And I just don’t feel it. Even on the tough days when I would sell them all to the circus – when they are all tucked up in bed at night – I’d still have another! Hubby would not be as enthusiastic- and I often say (when they are being really cute) – “how can you not want another,?!? !” – maybe we will , maybe we won’t but my heart is still yearning for another little one in the house! 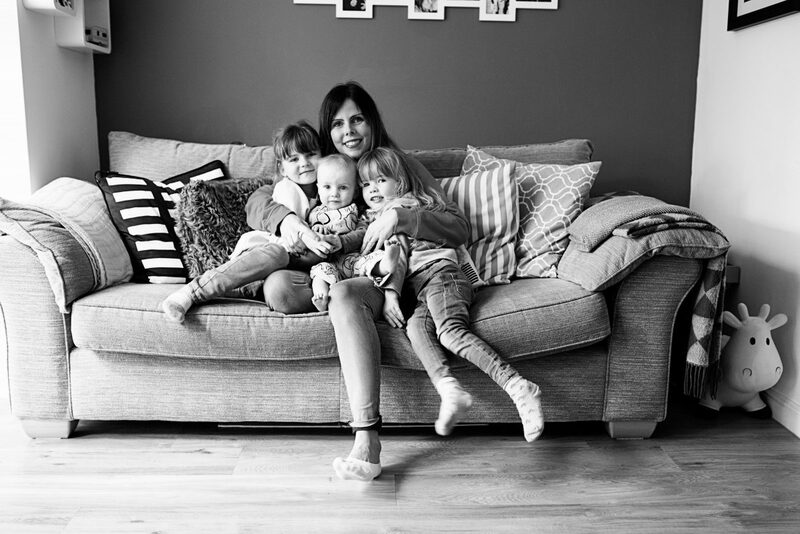 I’d say go for it – I love having 4 and will be sad when my house is not chaotic! I felt the same after my second, I immediately felt broody even with a newborn and felt so sad that every milestone would be the last. We talked lots about a 3rd, but decided it just wasnt practical – new car, bigger house, 3 pairs of school shoes at the start of term!! And plus being outnumbered by children is scary!! As my youngest has got older (4 now and started school) the feelings have lessened and we have our family unit and it runs smoothly. I feel with two I sometimes spread myself too thinly and fitting in homework and making sure I give them quality time with me is hard! I always wonder how families with more than two manage reading and homework! We also decided that there has to be an end at some point and if we had a 3rd I would still experience the same feelings as before, the last milestones, last feeding, last labour and feel sad. We are lucky to have two healthy, happy children who we can comfortably afford to give them things we want to and afford all of the extra activities they love to do. Plus there is also the chance just “one more baby” could lead to more – Twins!!!!! waking up at night, even if just to give him a bottle. I told myself half-heartedly he was the last one when he was born and have tried to cherish every moment. As time has gone by I am more and more tired and it affects my patience towards the end of the day, which I am not happy about. So 3 is definitely the number for me. Loved this! Just incubating bubba no.2, we always had 3 in mind but having boarded the parent bus later than most, it’s always been something we’ve had to just leave to the gods of time. Just lately though I’ve been feeling more and more content with what we’ve got (might be a different story in a cpl years time) but for now I feel so grateful with my lot and that what ever happens either way we have our family. This is such a lovely post. I am only on baby number one and I utterly adore him. I’m currently in the ‘how could I possibly love another child the way I love him’ phase. But I wasn’t convinced I’d love a baby as much as my dog initially – I was genuinely concerned! I have always thought three will be my family complete but only time will tell! Yes I can very much relate to this feeling. We have 4 and the youngest is nearly 3 and so big now, he’s learning so much and is such a cute clever little sausage we have really enjoyed his babyhood. But in all that growing and learning he is no longer a baby yet still my baby I feel I am clinging on to his babyhood far more than I did previously. He told me yesterday ‘I’m not a baby’ which tugged on my heartstrings in so many ways. Joy and sorrow, pride and longing. I know I always wanted a big family, and am so blessed that that is what we have but the maternal instinct that runs through my being still calls out for ‘one more’. Would it be just one? Well no I don’t expect one more to be that magical point where the broodiness comes to a standstill. I would hope that my head would engage at that point. Haha we all say, really? Well we moved last year, it’s a big enough house for one more but maybe not more. There is also one spare seat in the car and I don’t fancy driving a minibus! My age also a factor the closer I get to 40. Obviously for many having 5 sounds crackers but this isn’t something I set out to do, it’s simply natural progression in a family that loves babies and embraces a little bit of chaos. My other half goes back and forth on the idea which is pretty frustrating. He admitted he knows we will probably always be a bit broody. So I suspect he would like another but without the same call and longing that I feel he doesn’t get it in quite the same way. We shall see, I don’t think this chapter has finished quite yet, and if it’s not I will have to fight my hardest not to let thoughts of ‘last time ‘ spoil those precious moments. Before we had children me and hubby had discussed having four children. A huge family. I joked that I wanted 30 to make a class full (i’m a primary school teacher). But now, I have three beautiful girls and I love them but it can be hard work. After baby #3 we said “that’s enough, no more” and gave away all our baby stuff. Now baby #3 is 3 (and not a baby anymore) I long for another. Like you say, will it ever be enough?